Crystal Story II now available on Steam! 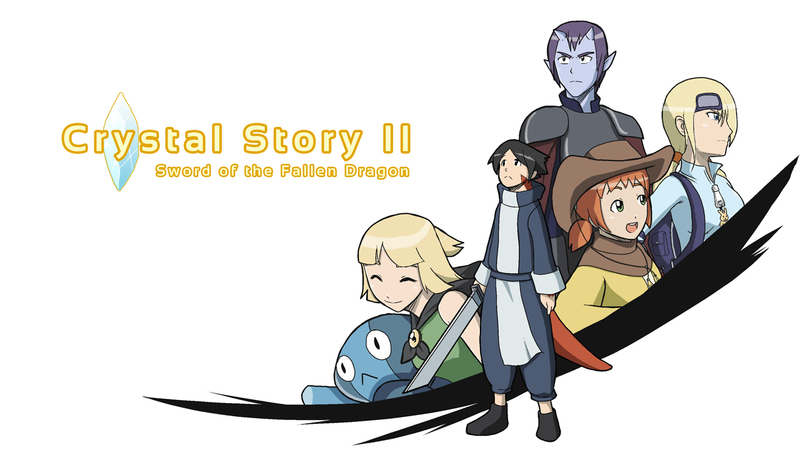 Crystal Story II is coming soon to steam, and with it comes the Sword of the Fallen Dragon Update. It adds a lot of features and changes to the game. New chapter (Chapter 6) – Sword of the Fallen Dragon: A new threat has risen. Join the party once again as they investigate the strange mysteries that are happening on the Northern Orc Village. New side quests -The Curious Thief: A pesky thief has been stealing items from the neighboring towns. The party is hired to catch the thief and return the items that were stolen. Card Battle: Collect cards and challenge foes to a Card Duel in an all new minigame. 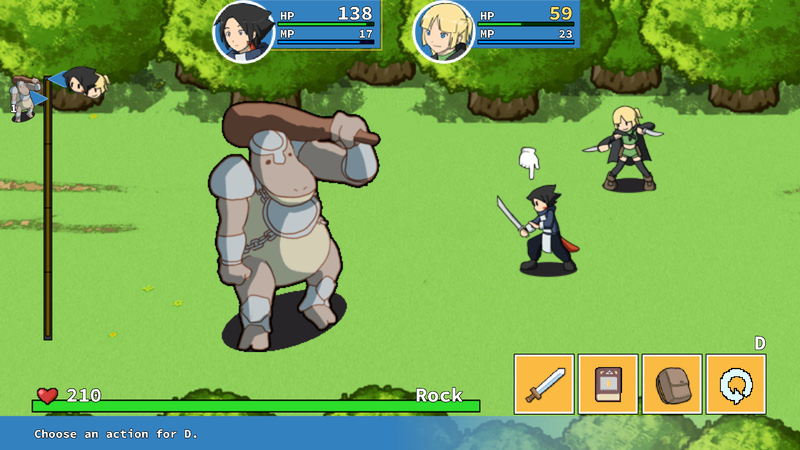 Battle Arena: Monsters line up to challenge your party in battle. Defeat them to earn prizes. Pet Gifts: Your pet now goes on its own adventure while you are away and will occasionally give you its spare items. Remember to visit it while in town. Skeleton Archers no longer goes into melee range when attacking. Fixed unclickable issue with big Koohii fight. Mercenary Defense Healer now has heal effect. Removed Mercenary Defense bonus level. Here’s a short vid on what the monsters look like. Nothing is final and I’m still learning as I go. They currently only have idle animations. Crystal Story (the first one) is now available for Android Devices! Also please don’t forget to vote for it on steam greenlight. If it gets greenlit, those who purchased on desura will also get a steam key. 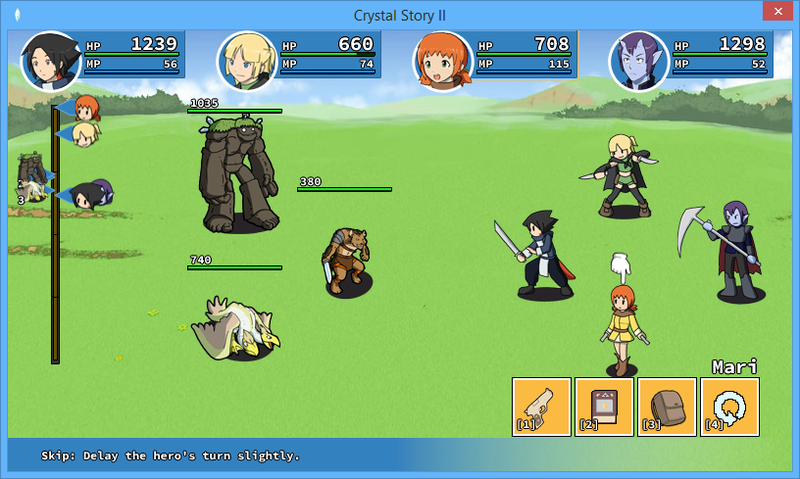 Crystal Story II is now available on the Google play store for android devices. I’ve only tested it on a few devices, so it might run slow on some. I recommend downloading the demo first to try it out. Saves on the demo do not transfer to the full version though. 5 New areas and bosses – Five optional new areas and super bosses appear after you’ve beaten the game to put your party to the ultimate test. Expanded Armory – Rare armors can now be crafted, and equipment can be dismantled for components. Exclusive Items – Discover secret items exclusive to the deluxe version throughout the game. Better Sprites – The deluxe version gives me the opportunity to bypass some of the limitations of the web version. 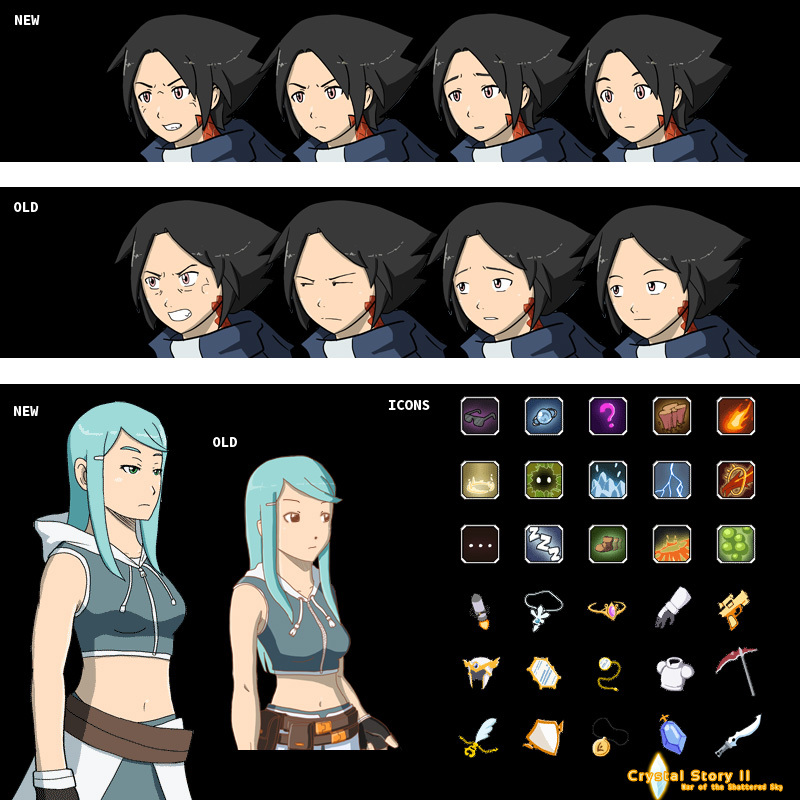 Battle sprites, Icons and Character sprites have been re-saved to PNG-24 from PNG-8. Jpeg quality has also been bumped to 100 from 80. Better Audio quality – Audio quality has also improved from 80kbps to 128kbps. Increased save slots and improved saving – Save files do not rely on the browser cache anymore and won’t get deleted if cleared. With the deluxe version, saves are persistent and are stored on the hard drive. Save slots have now increased from 3 to 6. No ads – Gone are the ads shown at the beginning of the game. Focus more on the game with less clutter. Hey! So I’m just posting to let you know this project is still alive. Sorry there have been no updates lately. It’s just going really really slow. Voices are now in the game, most of the main cutscenes are done and there are also new music in the game. Skill trees will have blank nodes now. You will have two choices on what stat you want to level up. The fourth character was also redone to make him look more evil. 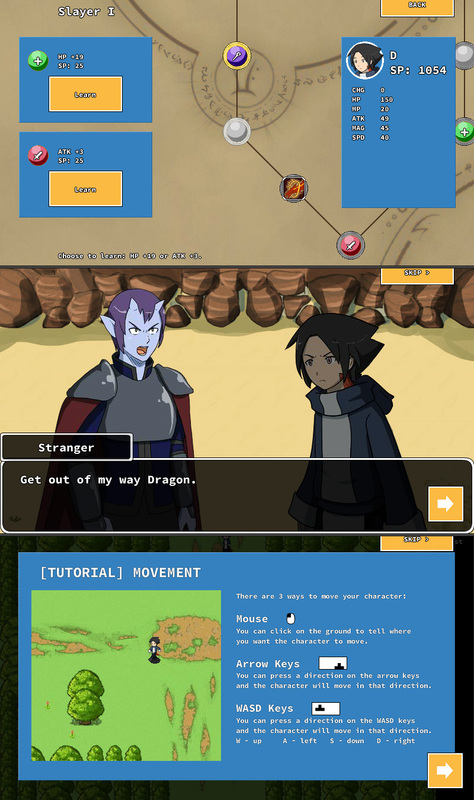 I’m also working on tutorial screens as well.